The picturesque Sedona landscape makes it the perfect place to celebrate the holidays. 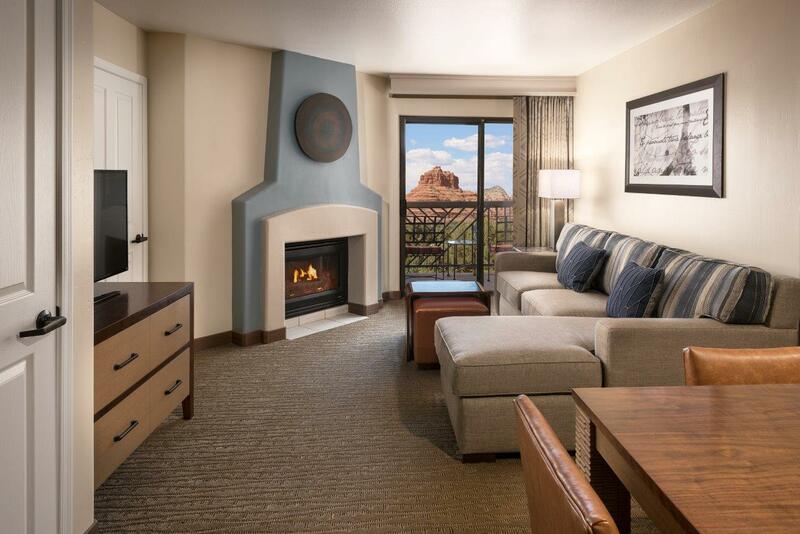 Get away this holiday season and save 30 percent with a special package offered for stays over the Thanksgiving and Christmas Day holidays at the newly renovated Hilton Sedona Resort at Bell Rock. With 219 guests rooms, three heated pools and a plethora of luxurious amenities, Hilton Sedona Resort at Bell Rock makes any holiday getaway magnificent. A 250,000 square-foot fitness center and spa offering indigenous and locally-inspired treatments tops the unique list of luxurious amenities offered at the resort. The “Away For The Holidays” package is priced at $244 per night, saving guests 30 percent. The package does require a four-night minimum stay and included, a newly renovated one-bedroom suite, breakfast each morning, holiday buffet on Thanksgiving Day or Christmas Day for two adults and two children and access to Sedona Athletic Club fitness classes. Stay must include the night of November 26 or December 25. Use bookinig code “OX” when making reservations online at http://www.hiltonsedonaresort.com/hsr/specials. For more information on Hilton Sedona Resort at Bell Rock, visit www.hiltonsedonaresort.com.